Are the Lakers Being Honest About Tom Thibodeau? Breaking News: Tom Thibodeau is still the head coach of the Chicago Bulls. Given that this man’s name has been linked to every coaching vacancy in the NBA, we thought it was important to clarify that he is, in fact, still under contract with another team. And yet, that will do nothing stop the rumor mill from continuing to turn. That’s just how things work in pro sports. People talk and everyone runs with it. It’s an undeniable cycle of affairs, and it’s something we’ve come to expect from the National Basketball Association. However, on occasion, you hear a rumor that’s so intriguing, you can’t help but take pause and ponder its legitimacy. This is one of those times. According to ProBasketballTalk (via Jordan Shultz of Huffington Post), despite having coach Byron Scott under contract, the Los Angeles Lakers are supposedly planning to purse Thibodeau. Of course, this report reeks of something that either the Bulls management — or Thibs’s camp — would leak in order to gain some sort of leverage. Still, in light of this hot topic, Lakers general manager Mitch Kupchak was forced to go on record and say this notion was nothing more than a rumor. It’s always good when the front office comes out in support of its current head coach. The Lakers were smart to nip this story in the bud before it had the chance to evolve into something bigger. Los Angeles already has its guy on the sidelines and Thibs, until further notice, is calling the shots in Chicago. There’s nothing more to it. Again, this all makes sense, and it was clearly the right play by the Lakers brass. Still, this doesn’t change the fact that the Lakers have shown interest in Thibs in the past. Prior to Scott’s hiring last year, ESPNLosAngeles.com’ Dave McMenamin reported that the Lake Show were planning to reach out to the Chicago Bulls to seek permission to interview Thibodeau for its open coaching position. Of course, this never came to fruition. And yet, it is important to remember that Lakers star Kobe Bryant would’ve certainly approved. 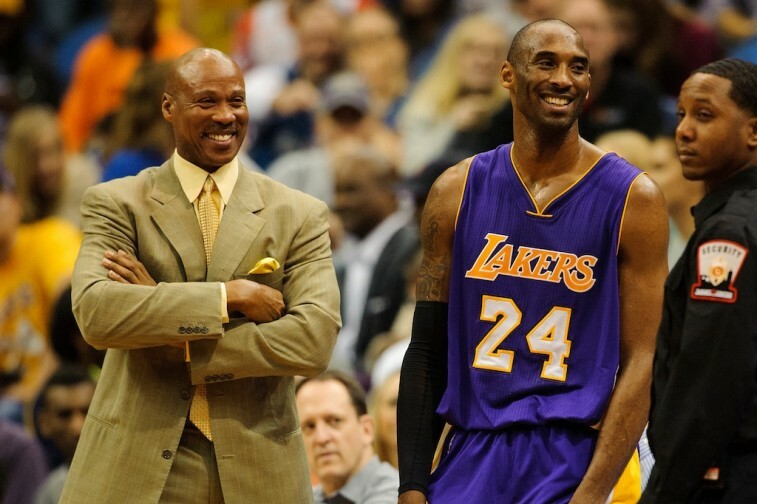 This is not to say that Bryant was against the hiring of Byron Scott. 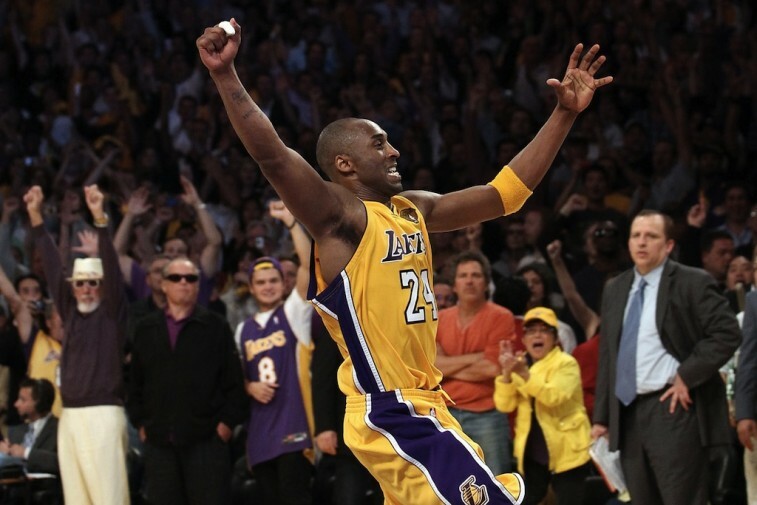 According to Yahoo Sports’ Adrian Wojnarowski, Bryant has always admired the former Lakers legend. However, he also noted that when Los Angeles was in search of a replacement for Mike D’Antoni, the belief was that, “Bryant will wish for Tom Thibodeau to free himself from Chicago.” If that was indeed the case, it’s information that cannot easily be ignored. And while Scott is a solid coach, something else that can’t be ignored is the fact that the Lakers were abysmal on defense — and something needs to change in that respect. This past season, the Lakers allowed 105.3 points per game. That number was good enough for second to last among all teams in the NBA. You know what other category the Lakers found themselves second to last in? Defensive rating. Los Angeles had a rating of 110.6. The Chicago Bulls, on the hand, were ninth in the league in opponents’ point per game (97.8) and 11th in the NBA in defensive rating (104.3). Say what you will about the Bulls’ inability to live up to expectations, but with Thibs on the bench, this group plays quality defense. Again, we’re not saying anything that folks don’t already know. It is common knowledge that, right now, the Lakers are not a good team; especially on defense. 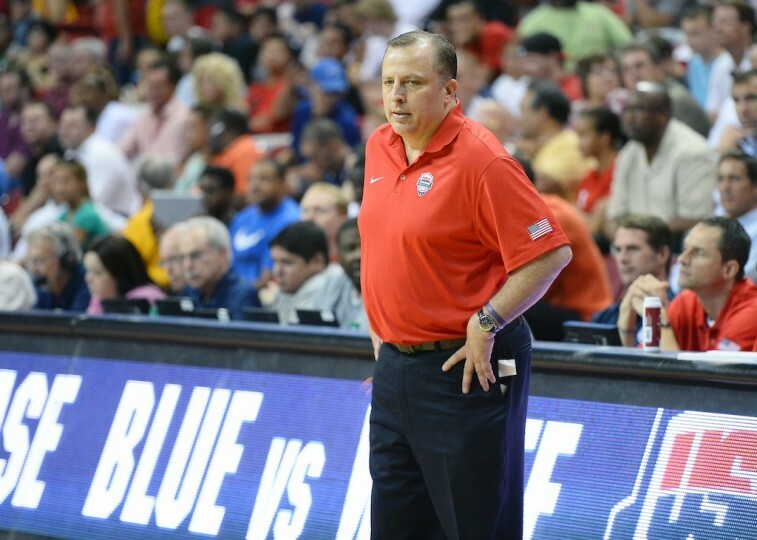 It is also widely assumed that Tom Thibodeau is one of the best defensive coaches in the game. If you put two and two together, this would seem like a perfect marriage. However, let’s not forget, the Lakers still have a coach, and currently Thibodeau is not looking for a new job. There is no reason to think these two parties will form a union. Not yet, anyways. The Lakers have denied interest in pursuing Tom Thibodeau. Do we think that’s the truth? Yes. There’s no reason for them to go after him at this moment. However, do we believe that if he became available, the Los Angeles front office might see things a bit differently? We do — they’d be crazy not to. But until that time comes, we expect everything to remain in place — well, except the rumor mill, of course.